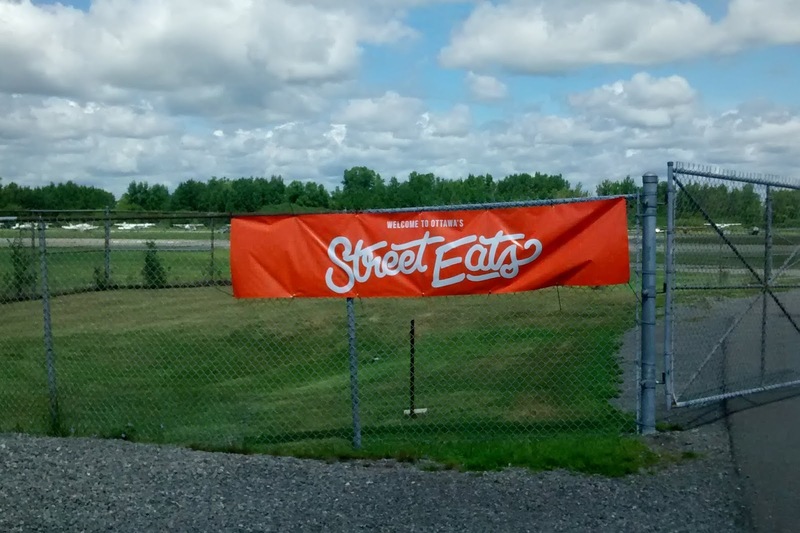 For August 1st, I received an invitation from TW Events to attend the first ever Ottawa Street Eats festival. 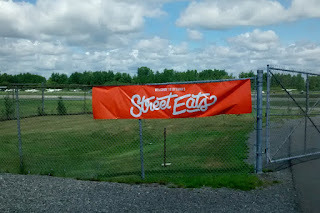 Basically the Ottawa Street Eats festival, located at the Aviation & Space Museum, was an assortment of the Ottawa area's food trucks accompanied by interesting special event only food stands and craft breweries. Before the event, I reviewed who would be attending the festival to get a feel for who would be there and which food and drinks I would have. There was quite the collection to choose from with everything from Asian to Greek to Hot Dogs & Fries, heck there was even Brewbar's awesome caffeinated beverages available. Lots to choose from to be paired by some of Ottawa's best craft beers. 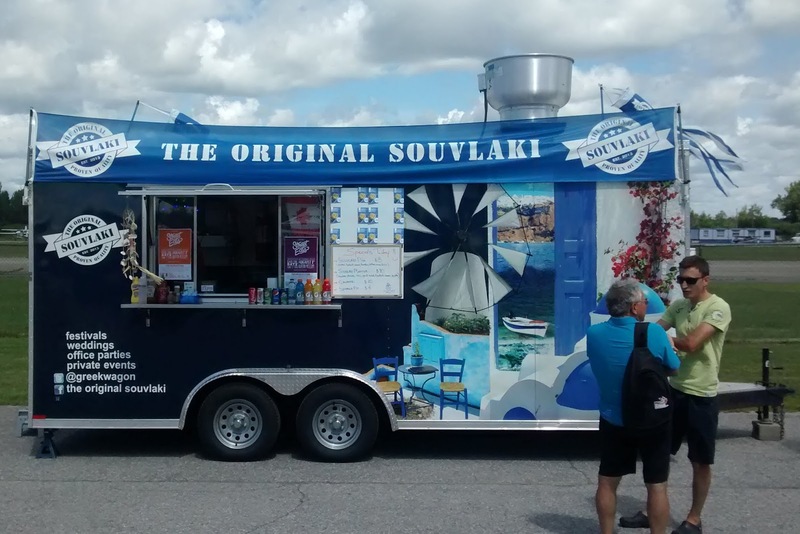 After arriving at the Aviation and Space Museum on OC Transpo and easily finding the Ottawa Street Eats festival, I reviewed my selection of food trucks to confirm my original first choice, The Original Souvlaki food trailer. I had my heart set on having a traditional souvlaki platter with either pork or chicken souvlaki, rice, potatoes and salad accompanied by tzatziki sauce. With not many festival attendees having arrived yet, I was able to order. The Order: 1 Souvlaki Platter. 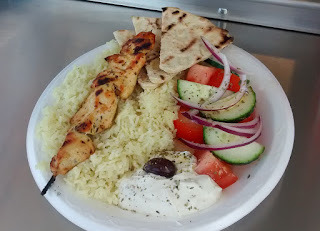 The Souvlaki platter was $10.00, not bad overall and, like Jimmy the Greek, only had one skewer. Hmmm, seems to be a theme, less Souvlaki than the traditional two skewers found in the Toronto area. I paid for the plate and left to find an outdoor table at the festival. The Souvlaki itself was not bad from a food truck, but not gourmet either. Just plain straight up Souvlaki served on a skewer displayed with all the usual food offerings like any Greek fast food location. Nothing gourmet but nothing terrible either. Just regular straight up Greek style Pork Souvlaki. The Pita bread was a nice touch. Add a Tzatziki sauce with it, and the odd vegetable, it was delicious! The rice was a little to be desired, it was dry and slightly overcooked. This was probably because for speed of service in assembling orders the rice needs to be cooked and held to be served. The rice, thus, can't be served up fresh as perhaps a regular restaurant might on a per order basis. Overall, the Original Souvlaki food trailer is a welcome addition to the Ottawa food scene. Since the Ottawa Street Eats festival, the trailer has secured a permanent home at 680 Bank Street next to Kunstadt Sports in the Glebe. A little fine tuning of the rice and this new addition will be a welcome addition to the Glebe. Ottawa Streets Eats festival was an enjoyable experience once inside. 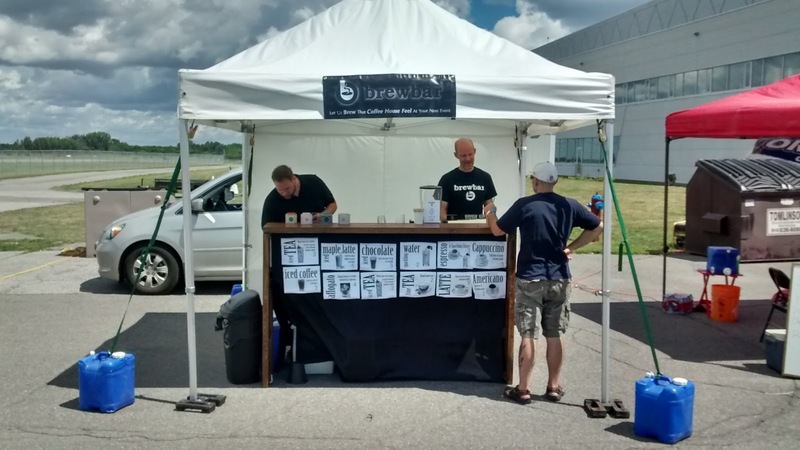 A variety of food trucks complimented the craft beers of such Ottawa area breweries like Kichesippi Beer, Mill Street, Whitewater Brewing Company, and many more. The final best piece of the festival was Brewbar, the portable coffee bar that appears at many of Ottawa's events. With the skilled hands of Paul Klutchert at the coffee bar, I enjoyed a creamy Latte to go. The Latte provided a fine end to a great day out investigating this interesting, yet tasteful, hopefully yearly event.